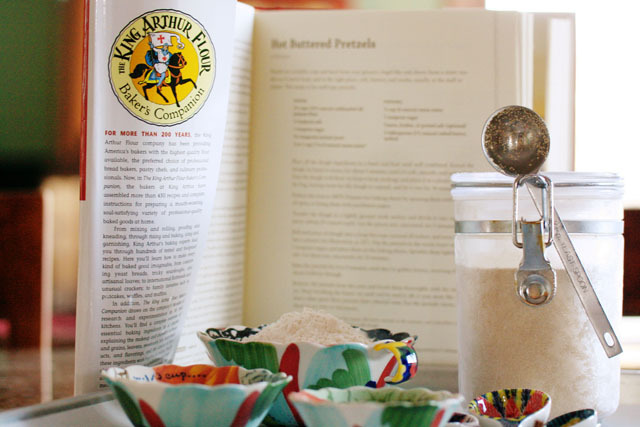 While all my college daughters were home on break last week, we decided to try a new recipe from one of my favorite cookbooks, The King Arthur Flour Baker’s Companion. The recipe is nearly the same as the one found on their website here. 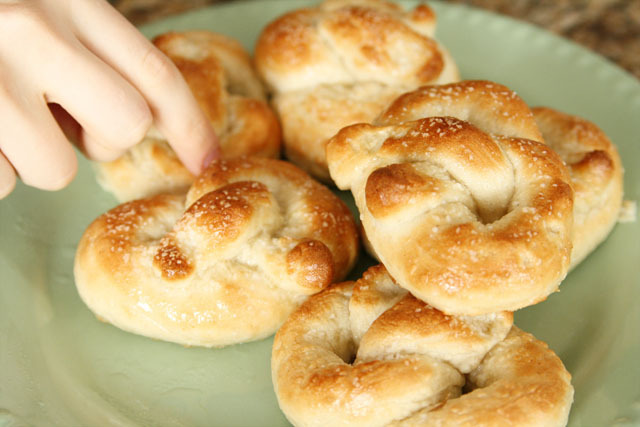 These soft, buttered pretzels were very easy and quick–though we gobbled them up even quicker! Next time, we’ll make a double-batch! KAF’s yeast canister and scoop is one of my favorite purchases from last year. I don’t have their cookbook, but I’m glad to hear you like it. Love that first photo. Love that recipe. Love this blog. Love you. I too like the first picture … the bowls and measuring spoons are lovely! Thanks! I think photos “from above” are always fun! We live about 100 miles from their store and plant. We visit whenever we are in the area, and, of course, spend a few dollars before we leave. 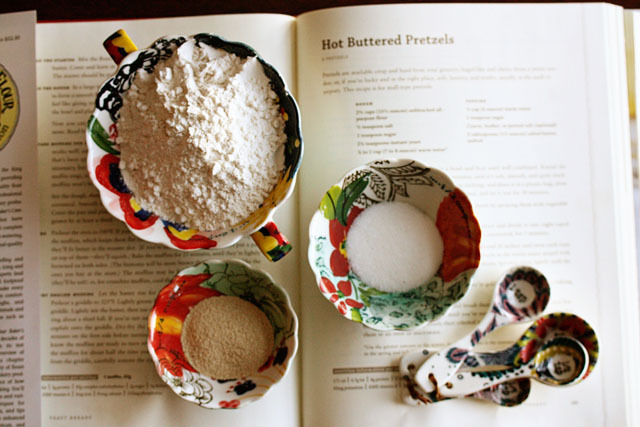 Great products – love their white wheat flour. I’ve never tried their white-wheat flour–I’ll have to add it to my next order. Where are they located? Fantastic! And I love these pictures. So creative and colorful! They look delicious! My oldest daughter was given this cookbook for Christmas – by her husband, smart man! I’ll have to tell her to try this recipe. 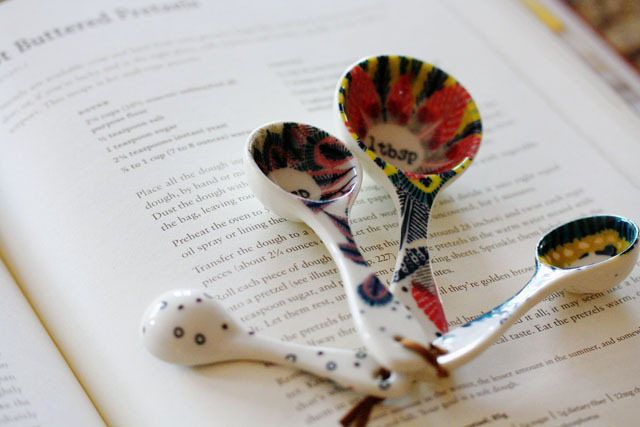 You also have darling measuring spoons! She will love this cookbook. I adore their pancakes,too. Thanks for stopping and taking the time to comment! I’m so glad you liked the post! This post is awesome!! Wonderful photography, fun kitchen tools (love the colors), and recipes you like! 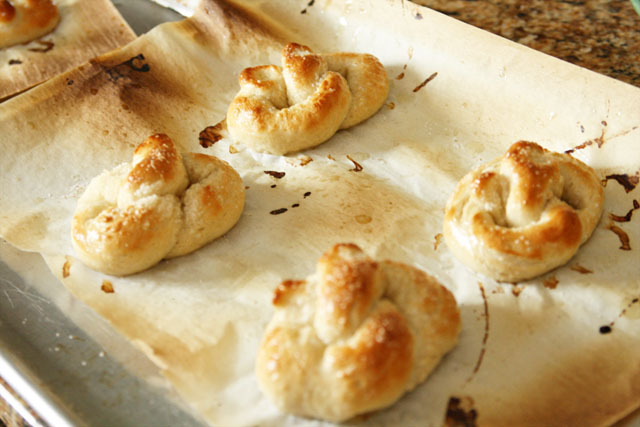 I’ve wanted to make pretzels – just might give this recipe a try – the look delicious! Thanks for stopping by my Flickr photo and leaving me your link. 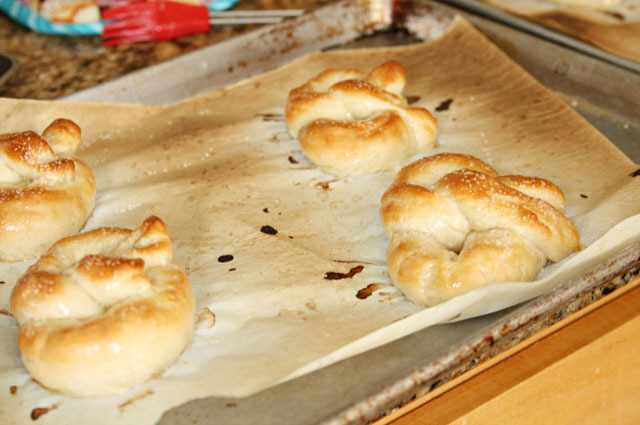 They are very easy–and a real crowd pleaser! Thanks for taking time to comment. On my this looks delicious both visually and as well as the presentation.